At Protection Zone Security, we know how important it is that you and your loved ones feel safe. Our goal is protecting your most precious commodity ... the safety and well being of your family and home. We are committed to securing your home with the "complete security solution" while meeting the individual needs of your lifestyle. The protection offered by a security alarm system is very important to you ... and to us. 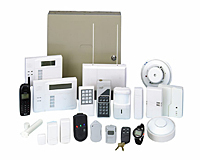 We specialize in alarm system design, installation and maintenance. We feature Honeywell state-of-the-art equipment. Even our most basic systems include all of the following: digital keypad with police, fire and medical emergency buttons, master security panel with emergency back-up battery, door/window sensors, interior motion detector, interior siren alarm, yard sign and window decals, alarm system service guide and owner's manual. Our burglar alarms protect you and your home whether you're away or at home. Burglar alarms can be customized to fit the particular needs of your home, lifestyle and family. 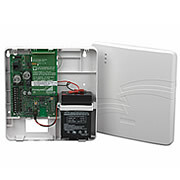 You have the option to choose a home security system that is wireless, hardwired or a combination of the two. Protection Zone early smoke and fire detection systems allow for quick evacuation from a potentially life-threatening situation. Fire departments are promptly notified so that fires are quickly extinguished and damage is minimized. We can also save you money on residential burglary and/or fire alarm systems. Insurance companies may offer discounts of up to 20% on insurance premiums for having a Protection Zone residential fire alarm and/or security system. For homeowners using alternative telecommunication options for their primary phone service such as Cellular/GSM network or internet (VoIP), Protection Zone Security provides wireless communications to our monitoring centers. In addition, we also offer this option as a secondary or back-up system to your existing landline telephone service in the event your phone line is cut or goes down. The cellular option utilizes cellular technology, with its own battery back-up power, to communicate directly with our monitoring centers so you are always connected and fully protected. Never worry about power or telephone wires failing or being cut, this advanced communicator sends signals wirelessly on its own power. We offer a state-of-the-art Honeywell Communicator System delivering secure, reliable and complementary digital communications via the Cellular/GSM network. Closed Circuit TV's are becoming very popular among homeowners as a crime prevention tool. Protection Zone Security offers a CCTV surveillance system that allows you to record what's going on inside and outside your home and property while you are away. In addition, remote video monitoring is also available so that you can view these images in real time from a remote location via the internet. Intercom systems are an excellent addition to insure greater security and provide added convenience to your home. Protection Zone Security can install a state-of-the-art system that will allow your family to communicate with one another from anywhere within or outside your home. You can also monitor any room from anywhere in your house, play your favorite CDs or listen to a ball game throughout your home. An intercom system will make your home safer, more convenient and enjoyable! You can have the best audio and video components in your home theatre system, but you'll never experience their full potential without high-quality equipment and installation between them. Protection Zone Security will lay the proper foundation and provide custom wiring for your home theatre, allowing you to maximize your home entertainment system enjoyment. Protect yourself from changes in your home environment. When you are away from home events can occur that can impact the safety of your home. Protection Zone Security offers additional system options including: temperature sensors to insure climate control within your home to prevent pipes from freezing; flood and water sensors located in your sump pump or basement floor to detect change in water levels and prevent flooding; carbon monoxide sensors monitor CO readings to insure they are within the safe range; and emergency medical pendants provide family members requiring assistance peace of mind when they are alone -- the simple press of a button located on the pendant will notify the monitoring center and EMS will be dispatched immediately.